Local Listing Ninja is the smart local business’s alternative to Yext. With Local Listing Ninja, we put you on more local business listings, for less, and for good. We’ll put your local business on 70 local business listings, for a $649 one time payment that will save you loads of money in the future by avoiding an annual cost, and you own your listings forever instead of renting them through Yext only to have them terminated if you cancel. Who Uses Local Listing Ninja? "These guys are great!! I was very nervous trying a service like this without a recommendation from someone I personally know, but they did everything they promised. What really impressed me was when I had a question or concern I always received a quick reply from them. Unlike Yext, I own my listings and do not have to continue to "pay rent" for them. They sent me a spreadsheet with all of my listings with my username and passwords that allows me to manage each listing. I would highly recommend this service--it was worth every penny." "Local Listing Ninja is excellent to work with. I did my research and compared to their competitors they provide a higher level of personalized service & offer more listings, at a lower price. Local Listing Ninja and Team did everything they said they would do and more, which in my experience is rare. I would highly recommend them to any business looking to increase their visibility and search rankings online and I'm sure I will be using them for more services in the future." Local Listing Ninja costs less than Yext, gives you more, and lets you keep what you paid for. We also beat Yext in other areas by putting you on higher quality local business listings than Yext, making sure Google indexes your local business listings so your local business ranks higher on Google, have an account rep personally optimize your business listings for Google and more. We put you on 70 of the best hand-picked local business listings. Yext: Only 55 local business listings. While Yext says they put you on 67 different “platforms”, only 55 of those are local business listings. Local Listing Ninja costs just $649 one time. There’s no reason to pay us again. Yext: Costs $500 every, single, year. You own the listings we create for you. When we sign you up for the listings, we sign your name up as the legal owner. Once we’re done, you get the username/password to all of the listings as proof of ownership. The listings can never be taken from you and they can never be deleted. Yext: Once you cancel, your listings are terminated. We look at the local business listings Google really values and put you on the top 70 available that Google is looking at. Yext: Puts you on only 55 local business listings that they have a relationship with. By far the most important part of our service: if Google doesn’t know about your listings, then they’re not doing you any good. They’re just floating along out there on the internet, making zero impact on your Google rankings. We actually submit all of your listings to Google’s index so that Google finds your listings and you can get the maximum impact from your business listings. Yext: Only some of your listings will be indexed by Google. We have one of our in house SEO professionals review every order that comes in by hand before your order is filled. That way you can rest easy knowing your order was reviewed by an expert and your business listing information, keywords, duplicates/bad data, and more have all been taken care of to give your local business the best chance possible to rank higher on Google through your business listings. Yext: You optimize your listings. Provides Account Manager. Duplicates (multiple profiles of your business on the same site) can harm your ranking on Google. The SEO professional assigned to your order will manually identify your duplicates by hand. Automated tools can miss a lot of these duplicates. We don’t. In 99% of cases we are able to remove your duplicates. We also pay particular attention to your duplicates on Google and are able to remove these 100% of the time. Yext: Duplicates detected by automated tool or by you. Duplicate suppression provided. Have you rebranded, moved, or had different phone numbers in the past? Or are there just simply business listings out there with completely incorrect information? No problem. We will find all of your old or bad data across our 70 sites and correct them all, again, by hand. Yext: Old/bad data detected by automated tool or by you. Removal provided. With Local Listing Ninja you can add enhanced content such as logo, photos, descriptions, keywords, services, hours of operation, payments accepted, Facebook & Twitter links, short business history and more. Yext: Allows this as well. Automated tools can miss things. They can miss duplicates, incorrect data, or simply glitch out and not do their job. Local Listing Ninja does everything by hand, including signing up for your listings, indexing your listings, checking your listings for accuracy, and reporting. We do it by hand so we know it’s correct. Local Listing Ninja is US based. All of our management, marketing, sales, support, customer service, all of it is based in house in the United States so if you need to speak with someone, you know you’re getting the best support. Yext: US based as well. One of our coolest features: each Monday you will receive a ranking report straight to your email inbox detailing how well your local business is ranking on Google. You get to choose up to 5 keywords so you can keep track of the progress your local business is making on Google. You will get this report in your inbox every week for a full year. Yext: Does not provide a ranking report. Community is important. With Local Listing Ninja you receive an invitation to our Private Facebook Group exclusive only to other local businesses who are customers of the Local Business Internet Marketing University as well. Here you can get support from your fellow local business peers pertaining to digital marketing. Currently the group is very small but will only grow with time! Yext: Does not provide a community. How did Local Listing Ninja come about? Tutelary Marketing (our parent company) is actually a Full Local SEO Agency. We work with tons of local businesses helping them rank better on Google. Because of this, we've always needed to provide business listings to our clients. Because of the need for business listings, you might think we considered using Yext for this at one time. We didn’t consider using Yext because we did our business listings in house at a less expensive cost and we didn't have to pay annually. Also, our listings could never be taken from us or our clients like it would be if we used Yext and cancelled with them. And how we did our business listings gave us better rankings on Google than Yext could because we submitted all our listings to Google, unlike Yext. When you combine all of those factors, Yext just didn't make sense for us. And then one day, it dawned on us. "We're doing business listings the right way. Everyone can benefit from one time cost, permanent listings, owning their listings, and a higher quality SEO product. We should offer this to the public at large!" And that's when Local Listing Ninja was born. You make payment through our secure and simple online form. After you make payment, you are taken to our Business Info Form where you will submit your local business information to us, such as business name, address, telephone number, website, description, hours, photos and more, just like you would to Yext. We then take that information and one of our SEO professionals looks over all of it to make sure everything is good to go with keywords, double checking your name and address with Google, looking for duplicates, old or bad information, etc. Last, we report your business listing, usernames and passwords to you in a spreadsheet, within 2 weeks. The only other thing we need to do is a simple phone verification but we handle all of that and only need about 10 minutes of your time a week or so after you order. It's very simple and you get a detailed email explaining everything. Is this truly a one time cost and do I really own my listings? Absolutely. There’s no catch. You do not pay us a dime again and your listings are your own. We guarantee it. Are there any other differences between Local Listing Ninja and Yext? 1) Yext is a platform, Local Listing Ninja is a service. Yext has a dashboard for you to log into, etc. 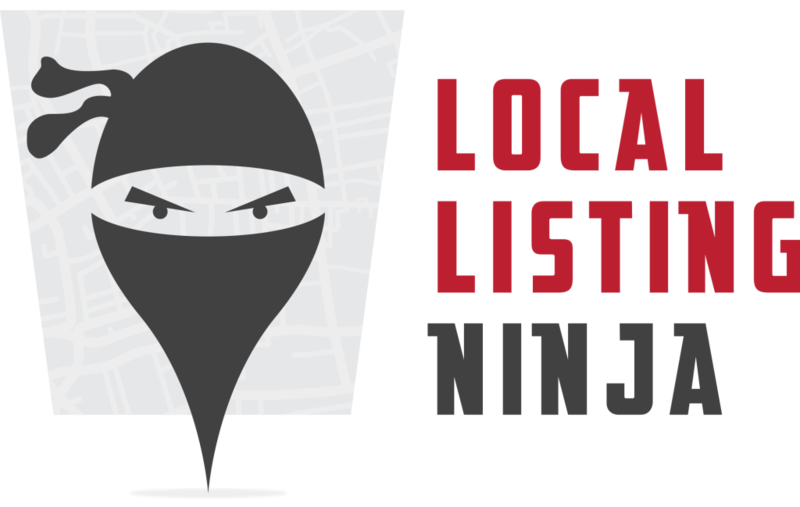 Local Listing Ninja is a pure service where we submit your local business information by hand to 70 local search directories. It’s a bit old fashioned but it’s not an issue for our customers, only an issue when our hand gets a cramp in it. 2) Yext populates 100% of their listings automatically. 90% of our submissions are live when you get your final report and the other 10% populate within 2 weeks. This is due to slow approval times from some of the local search directories. 3) Yext can make business name/address/phone number changes automatically, we do not. Because local businesses hardly ever change their name, move, or switch phone numbers, we consider this a non-issue. How long does it take for you to start on my order? We start processing your order almost immediately when receiving it and finish your order within 2 weeks of your order date, with many orders happening much quicker than that. How long does it take for my local business listings to go live? With Local Listing Ninja, around 90% of the listings will be live when we send your final report 2 weeks after your order. The other 10% of your listings should populate within 2 weeks. Yes. We provide email support for your Local Listing Ninja order up until your order is filled and all of your listings go live. If I need to make changes to my local business listings later on who makes the changes? Once your Local Listing Ninja order is filled, we provide you with a spreadsheet with all of your local business listings and all of the usernames/passwords to those local search directories so you can log in and change them on your own, if needed. Again, we highly doubt you would ever need to change your local business listing information. If that time does come though, you have the power to do it on your own. Some local businesses don’t have the time, and if that is the case for you, we can change them for you for a small fee since you’re a previous customer. We choose the top 70 local search directories Google trusts. How we determine trust is based on reputation as well as hard data. The hard data consists of how high their Google PageRank is. Google ranks web pages from 0 -10, 0 being no value and 10 being the highest value. We choose those local search directories with the highest Google PageRank to submit to. We also take into account a few other metrics as well. Together, this gives us our list of the 70 top local search directories to submit to. What about Yahoo, Citysearch, and InsiderPages? While we can’t submit to these 3 directly, ExpressUpdate (which we sign you up for) submits to all 3 of these directories. The time it takes for them to go live is somewhere between 30-90 days according to ExpressUpdate. Because it takes so long, we choose not to advertise that we submit to these directories but you will receive a listing on them after the appropriate amount of time. How does being on the top 70 local search directories get me more business? 1. Google looks around the internet for local business listings. The more local listings your business has, the higher your local business will rank on Google. 90% of consumers, when looking for a local service or product, are using a search engine to find them in this day and age. Google is by far and away the #1 place to get new customers. So, if you want to rank higher on Google, having a lot of local listings with your correct information is absolutely critical. And with Local Listing Ninja, that’s exactly what you get across 70 of the top local search directories Google is looking at. 2. You can’t rank for searches people do on local search directories if you don’t have a listing on that directory. We put you on 70 of the top local search directories that are getting searches so you have a chance to get business from them if someone does happen to search them instead of Google. 3. You can’t get business if someone calls the wrong phone number they saw on a local search directory profile or shows up to the wrong address. We ensure that across our 70 local search directories that those customers get through to you. Should I be on more than the top 70 local search directories? There’s no need. Google practices the law of diminishing returns. There are close to 200-300 local search directories out there. At a certain point, you hit a ceiling with local listings and how well they help you rank on Google and we think 70 is about that number. Any more than that and you’re probably wasting money/resources. What if I have already claimed some of the listings you cover? Then those listings will remain in your possession and we won’t touch them. Is this going to make ALL of my business information across the internet correct? No. It will only affect the 70 local search directories we submit to. However, these 70 local search directories are responsible for 99.9% of local business searches. Meaning your local business information will be correct to 99.9% of the consumers searching the internet for your business. Also, having your information correct on the top 70 local search directories is more than good enough for Google. Your local business only needs the top 70 listings and that’s what Local Listing Ninja delivers. Do you cover any of the local search directories Yext does? Yes, we choose the best 70 local search directories out there and there is some overlap. Once you sign up below and make payment, you will be directed to a form to fill out all of the information we need for your local business, such as name, address, phone number, etc. Once submitted, you will then receive an email confirmation from us stating we received your local business information and have put your order in the queue to be fulfilled. Within 2 weeks your order will be filled, we will sign you up for your 70 business listings, and email you a video report plus a spreadsheet with all of your usernames and passwords! Typically 90% of your listings will be live when you receive your report and the last few will go live within 1 week. And that's it! So, go ahead and place your order below! To sign up for Local Listing Ninja, fill out the form below. You will then be taken to the payment screen.